Conceiving of art in this way, form was liberated from function and aesthetics from beauty. Picasso was not the only artist to understand the non representational power of African Art, the uncanny sense of embodiment and evocation, matter as spirit and spirit as matter. Matisse, Breton, Derain, Leger, Modigliani, Malevich, Gauguin, Janco, Tzara, Ball, Hoch, Roussel and Apollinaire to name but a few, fell under the influence of African Art and liberated their spirits from the European tradition to give birth to the Avant Garde tradition that would dominate the Twentieth Century. 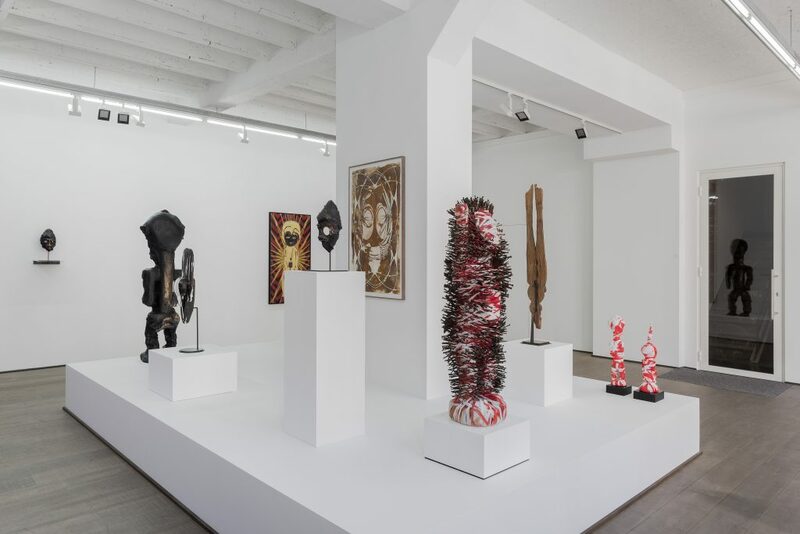 More than a century later, African Art continues to fascinate artists who collect, curate and are inspired by the liberating forms of a tradition that continues to hold spirit as the force that binds aesthetics to form. 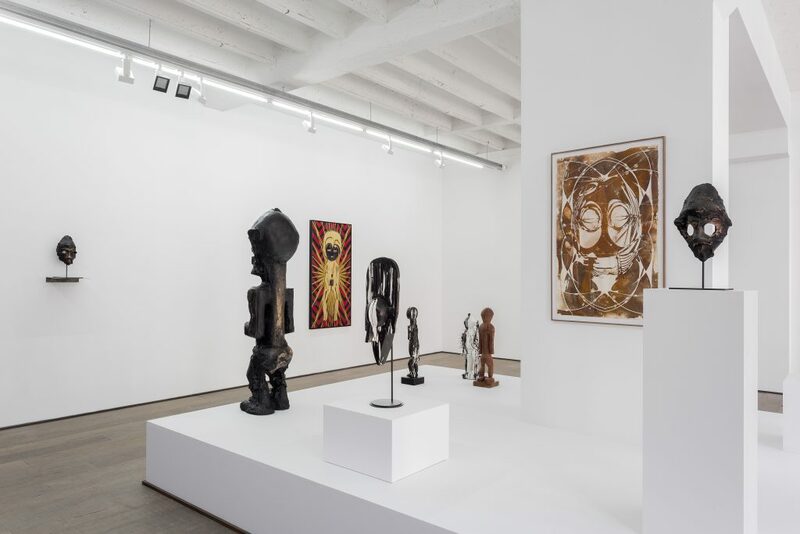 The private collections and curated exhibitions of artists like Arman, Tom Phillips and Willy Mestach have all changed the understanding of the subject, adding historical detail and curatorial context. 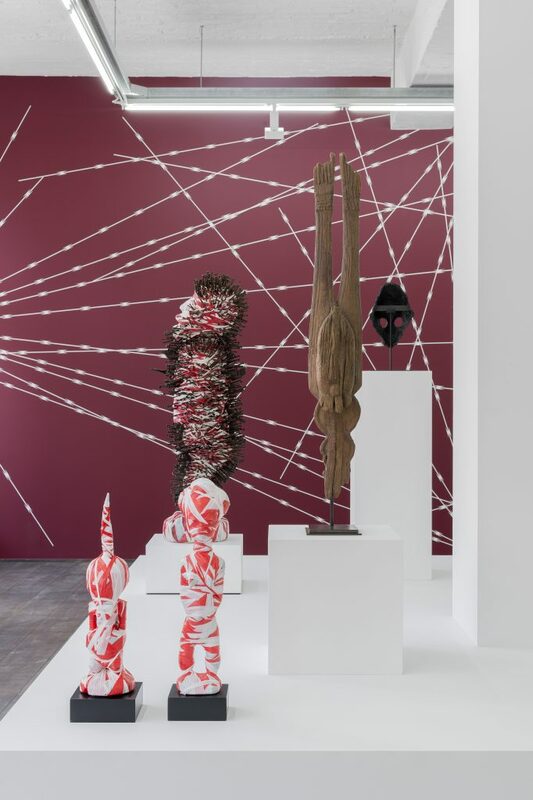 What is it about African Art, that century and century and generation after generation, the world continues to terrify, mesmerise, seduce and enthral artists, poets, collectors and aficionados ? What is the difference between African Art and non-African Art ? Is there a difference between contemporary African Art and the work that is called Traditional African Art ? 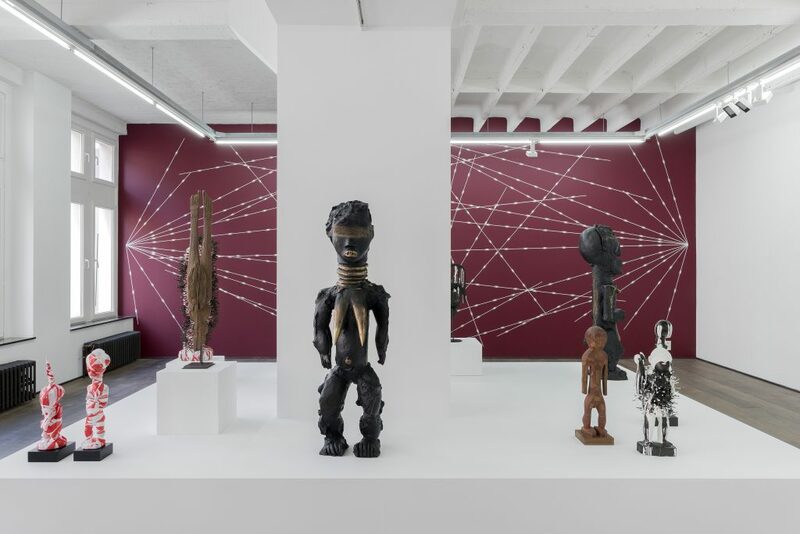 South African born, Belgium artist, Kendell Geers has always worked closely with his roots as an African Artist in an exorcism of identity, throwing his white African roots up against the wall of sociopolitical interrogation. Being both white and African, an artist living in exile, a freedom fighter who grew up in struggle against Apartheid, his work is difficult to define in singular terms, always layered with contradiction and contrast. AfroPunk is an exhibition in two parts, a dialogue with history and tradition. 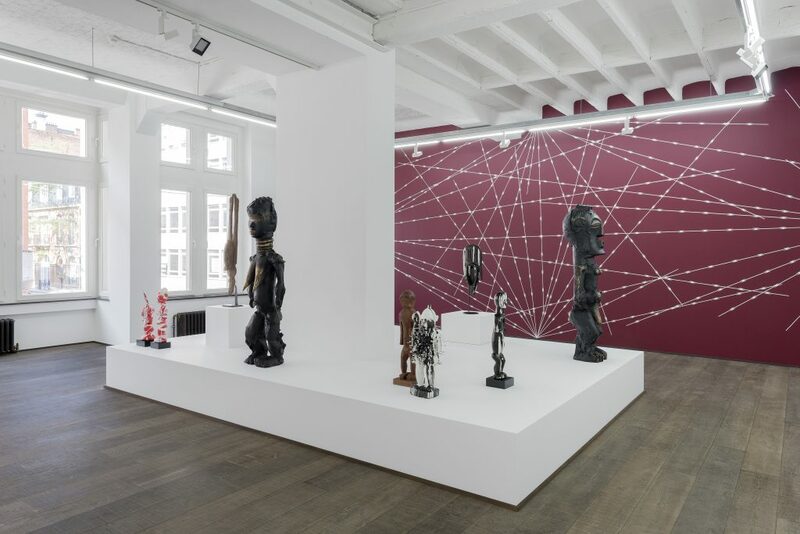 New paintings, drawings and bronze sculptures will be exhibited alongside traditional works of art in both rodolphe janssen and Galerie Didier Claes a dealer specialising in classic African Art. 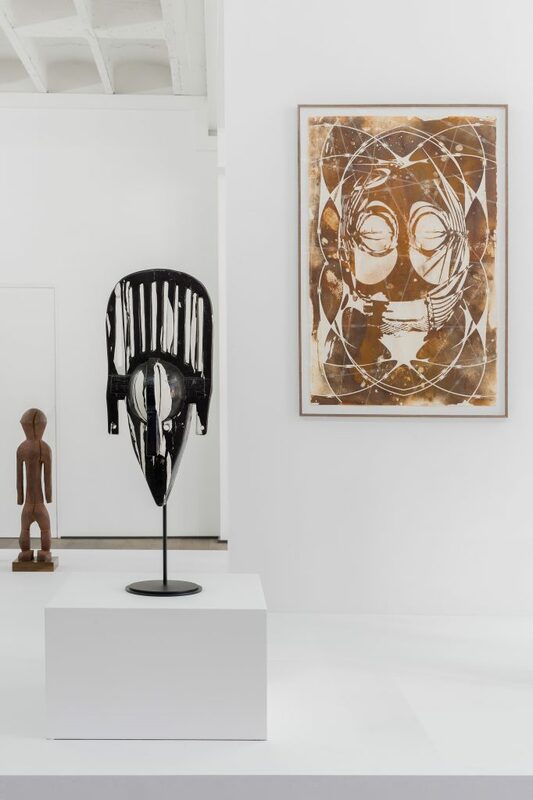 Kendell Geers used cutting edge technology to scan and 3D print rare African masks that had been collected by Sablon artist-collector Willy Mestach. Geers asks the question, whether spirit can be transferred from one form into another, whether a 3D scan and print of an evocative Songye mask might hold the memory of the spirit of the original. For Geers, the most pressing issue that art faces today is the reanimation of spirit, to return art to its spiritual function, the intercessor between worlds. Following the Punk and Dada traditions, Geers uses 3D scanning and printing like Hannah Hoch used her scissors to create Dada collage and the way Marcel Duchamp used objects he found in the material world to transform them into existential questions about ethics and aesthetics. The paintings and drawings are also made from scans and prints, worked, reworked and transformed. 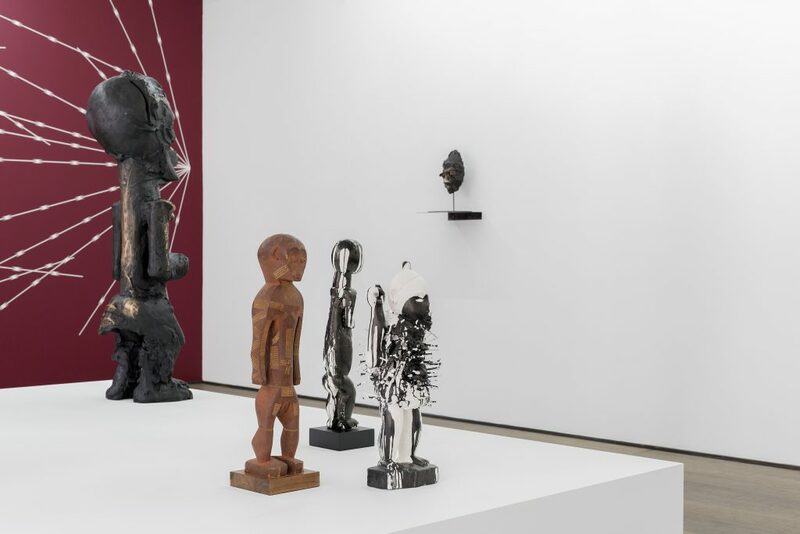 The result is neither African Art, not European Art, but a dialogue between cultures, a dialogue that is as much about Picasso as it is about Traditional African Art. AfroPunk is a meditation on reading, an exorcism of subject, form and tradition, images trapped at the border between our expectations and the boundaries of our experience. 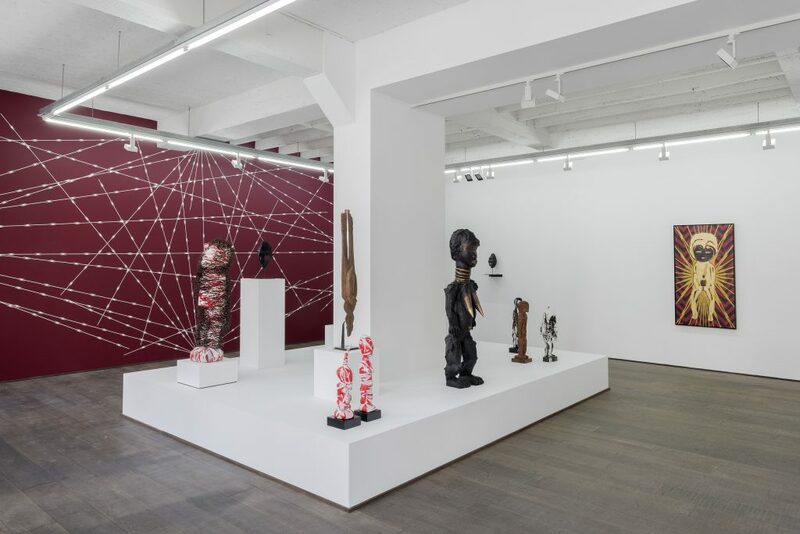 Kendell Geers ‘AfroPunk’ Installation view at rodolphe janssen, Brussels, 2017.